JAKARTA, Berita HUKUM - Police report against Mr. YU JING, former Director of PT Merge Energy Sources Development (PT MESD) related to a series of alleged criminal acts with respect to his position now entering a new phase, after previously being stipulated as the suspect by the Criminal Investigation Agency of Indonesian National Police (Bareskrim Polri) and have been listed in the Wanted List (DPO) also in the Interpol Red Notice list because he ran away from the investigation process, this time officially detained by the Criminal Investigation Agency of Indonesian National Police (Bareskrim) on Monday, November 19, 2018. It was confirmed by the attorney of PT MESD, Mr. Ricky Ariyo Wibowo, S.H., M.H., on Wednesday, November 21, 2018 "Yes, it is true that Mr. YU JING has been officially detained by Bareskrim Polri since Monday, and we will oversee this case together until its complete so the handling of this case can be carried out and handled professionally and we hope there will be no political maneuvers that can tarnish the justice values and law enforcement." 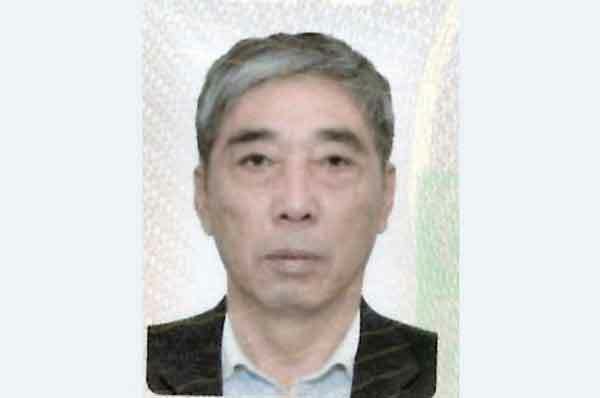 The detention of Mr. Yu Jing is the right action by the Criminal Investigation Agency of Indonesian National Police (Bareskrim Polri) considering his track record that he was uncooperative in facing the police report against him, it is also inseparable from the fugitive status that attached to him until he entered in the Interpol Red Notice list. Ms. Christie Elizabeth, S.H., who is also the attorney for PT MESD also believes that the detention of Mr. Yu Jing by the Criminal Investigation Agency of Indonesian National Police (Bareskrim Polri) is a right and wise step "I think the detention is the right thing to do because, based on the rules in the Indonesian Criminal Procedure Code (KUHAP) one of the reason to detained a suspect is because they are beeing uncooperative and with the concern that they will escape, so if we look at Mr. YU JING track record I think the Criminal Investigation Agency of Indonesian National Police (Bareskrim Polri) has taken the right and wise step in detaining Mr. YU JING, it should be appreciated." As reported previously, Mr. Yu Jing has been stipulated as a suspect by the Criminal Investigation Agency of Indonesian National Police (Bareskrim Polri) for allegedly conduct a series of crimes related to his position. Furthermore, based on the information obtained from the attorney of PT MESD, there will be new legal action taken considering that Mr. YU JING is also allegedly embezzle the company documents when he was officianate as President Director of PT MESD. Meanwhile Mr. Nasir Jamil, Commission III member of the People's Representative Council of Republic of Indonesia (DPR RI) said that if there are parties who have objection to the detention of Mr. YU JING as a suspect, of course it is necessary to see the status of him.